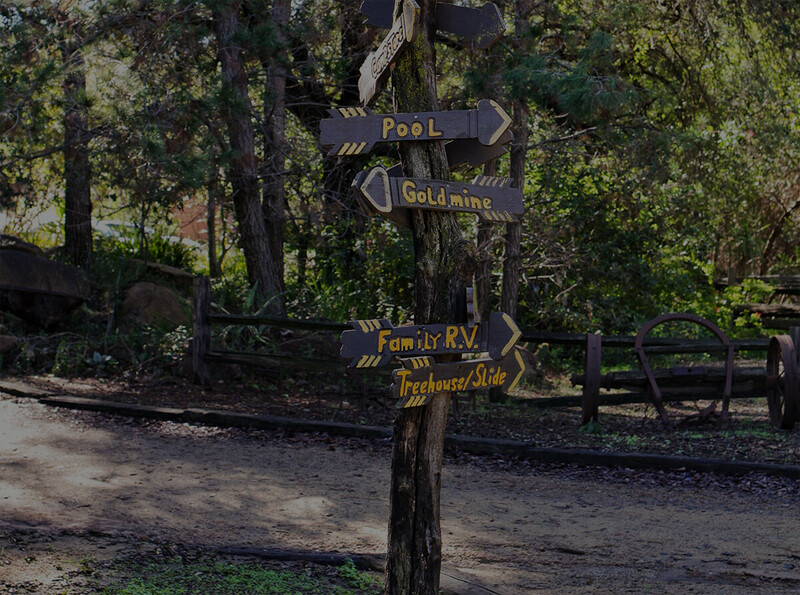 Nestled in Lee Valley in the back country of San Diego, lies Indian Hills Camp, an 80 acre campground made up of grassy knolls, bouldered mountain sides, pastures, and oak groves. Rich in history, the campground was once the seasonal home to bands of Kumeyaay Indians known as Tipai. Their presence here can be seen today with over one hundred matates and numerous artifacts. During the Mexican Era (1820-1850), cattle ranching was a strong economic influence in the San Diego area. Rancho Jamul, once owned by Pio Pico, the last Mexican governor of California, is located just three miles southwest of the campground. No doubt that this valley was used for grazing cattle during that time. In 1850, California became a State in the Union. This valley, for the most part remained undeveloped until the early 1900's. In the 1920's, the Ranch House (now the Girls Dorm), Folsom Barn, and the garage (now the First Aid Station) were built. The campground at that time was used for agricultural purposes and raising cattle. Indian Hills Camp is owned and operated by Shiloah Springs Bible Retreat, Inc., an independent, Bible believing, non-profit organization. Since its founding in 1960, Indian Hills Camp has been devoted to teaching kids the Gospel (Good News) of Jesus Christ, the encouragement of youth in their walk with Him, and the training of its young people for future ministry. IHC came about through the vision of Ruth Folsom when she saw the need for a Christian camp focused specifically toward children. Her involvement with Child Evangelism Fellowship led her to begin Day Camps for children as early as 1955. Operating on leased property in Beaver Hollow, just two miles north of the camp’s present location, Ruth enlisted the help of Bertha Watts in running the Indian Falls Camp. Together, these women laid the foundation for a camp ministry for "Reaching and teaching children for Jesus Christ through a traditional camp experience." in the San Diego area. The year 1964 saw Ruth Folsom and Bertha Watts take a step of faith with the purchase of the present property in Lee Valley. Five weeks later, Indian Hills Day Camp was started. Development of the camp ground was underway by 1969 with the construction of a pool, trailer hook-ups, and restrooms. In the summer of 1977, the first week long camp was run using surplus army tents to house a total of thirty-five children. Since that time, the camp has encountered numerous obstacles and opposition to its growth, but God has been faithful. The following is a testament to His provision and guidance. 1970 - The camp is spared during a major brush fire that encircled the camp yet did not come on the property. 1976 - Don Barber is hired as Director and begins the development of the program and overnight resident camps. 1981 - The first cabin is built in Coyote Gulch. 1985 - The mortgage is paid off. 1986 - The first Junior High Camp is run. 1987 - The Major Use Permit process is started. 1988 - Our first Sixth Grade Camp is run. Bob Lindsay becomes Camp Director. 1995 - The camp receives its Major Use Permit from San Diego County. 1997 – Second pool is built. Two new staff homes. Western Town Stage. 1998 - Art Pratt Foundation gives a major gift for a new Barn meeting facility. 2000 - Intern Program starts. New Indian Village and Wagon Train is built. 2002 - Administration Office built. 2003 - Global Reach Program starts. First trip to Russia and continues to present in thirteen countries and over one hundred camps. 2005 - Present Nationals from India, Nicaragua, Russia, Mexico, Malawi, and Poland come to IHC to learn Christian camping. 2007 - IHC is spared from a second major brush fire, again moving around the property but not on to it. 2008 – September; IHC Board of directors step out in faith to make camp “free” to all children. 2012 – Through Missions and free Summer Camp, over thirty-three hundred children hear the Gospel and over sixteen hundred give their life to Christ. 2012 - 2016 IHC goes through heavy financial difficulties shaping and preparing IHC for a movement of God to reach as many children for Jesus Christ as we can. Indian Hills serves over 25,000 people each year through over-night Resident Camps, International Camp Mission projects, Church children and Youth Retreats, Girl Scouts, Boy Scouts, YMCA, Family Camping, Church and School Picnics, Outdoor Education, School Field Trips, Sixth Grade Camp, Gold Rush Days and Kumeyaay Days… and much, much more.